Dr. Kwaku Poku Asante is a public health physician with an interest in public health disease focusing specifically on malaria. Currently, Dr. Asante is a Clinical Research Fellow at the Kintampo Health Research Centre, Ghana Health Service and has been overseeing the Alliance’s child survival research within the country. Dr. Asante earned a BSc. in Medical Sciences (1997), MD degree (2001) and Masters in Public Health (2004) from the premier University of Ghana. 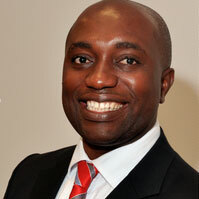 He has additional training in the conduct of health research, project management, communication and research ethics. His research experience has focused on malaria, meningitis and anemia in the Kintampo North and South Districts. He currently holds a Malaria Vaccine Advocacy Fellowship with the Bill and Melinda Gates Foundation/ PATH Malaria Vaccine Initiative.